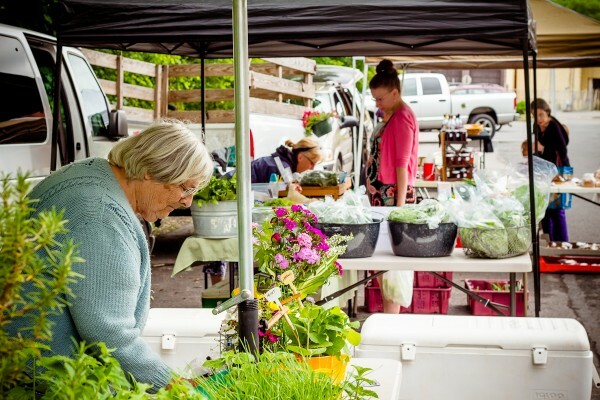 - Saturday farmers markets are in full swing now, with the Altoona Farmers Market in downtown Altoona and the North Atherton Farmers Market making their debuts for the season. Bellefonte Farmers Market, and the Philipsburg Farmers Market are well underway. - The Way Fruit Farm Apple Blossom Festival happens tomorrow from 10:00 a.m. to 3:00 p.m. out at the farm. Free wagon rides through the orchard, free local food samples, children’s storytime, breakfast and lunch in the Way Cafe, and all sorts of fresh baked goods for sale. See their website for more details. - The group Biscuit Jam will be playing at Happy Valley Vineyard & Winery from 6:00-8:00 p.m. Enjoy Americana rock while sipping excellent local wine. - Want to take mom out for a local food meal on Mother’s Day? Here are some options: Harrison’s Wine Grill and Catering, Mother’s Day brunch at the Nittany Lion Inn, and Otto’s Pub and Brewery.